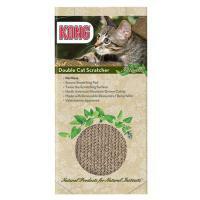 This item is both a scratch pad and cat bed, and is designed to complement any home décor. 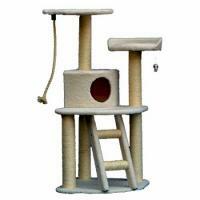 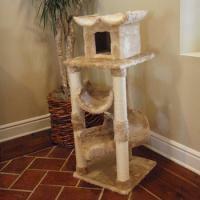 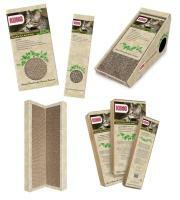 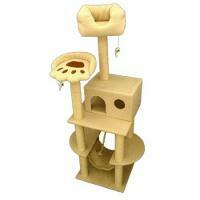 The Cat Scratcher Bed is bound to please your cat, whether he or she is looking to lounge, scratch, or play. 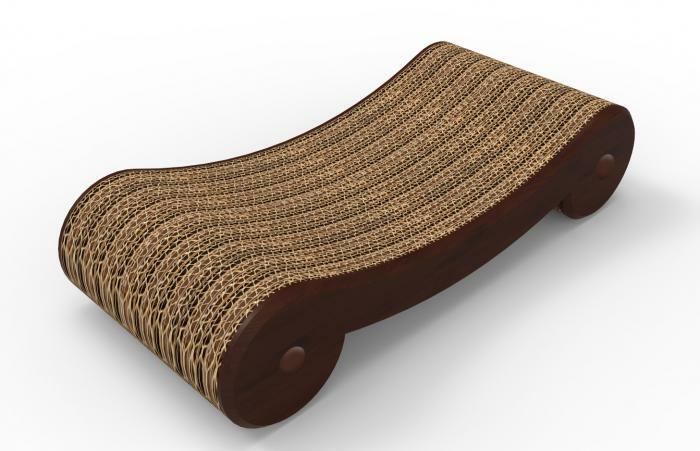 The reversible bed is made with a stylish engineered wood frame and corrugated cardboard pad, which encourages positive scratching behaviors and is designed to withstand your cat's nails for twice as long as other scratcher pads. 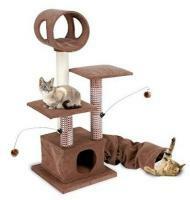 Your kitty will be satisfied by using the Merry Products Cat Scratcher Bed and, as an added bonus, replacement pads are available should your cat enjoy digging his or her claws into the pad more than you anticipated.